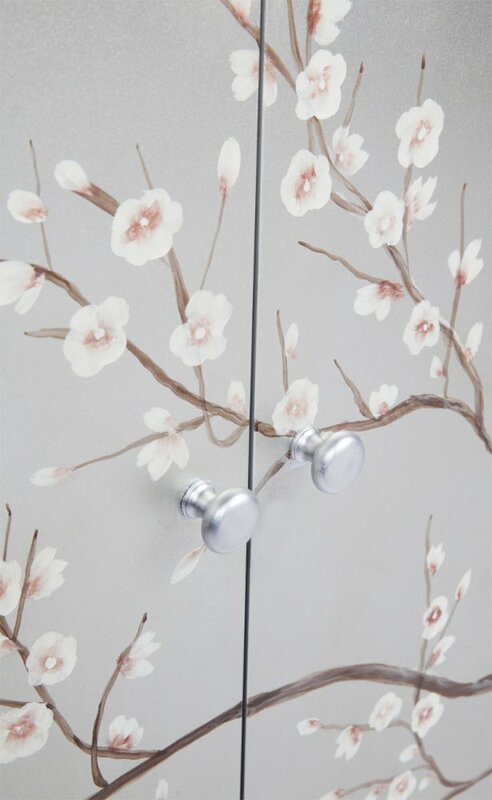 An antique silver cabinet with a cherry blossom painting across two doors. 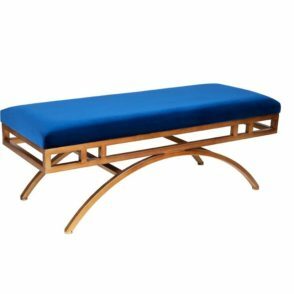 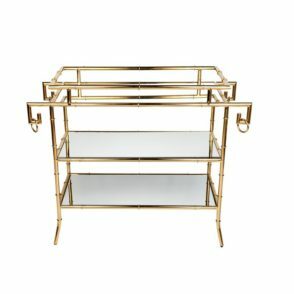 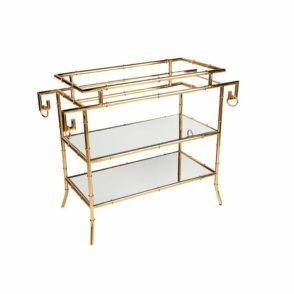 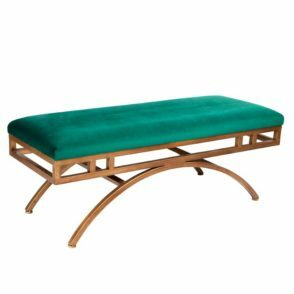 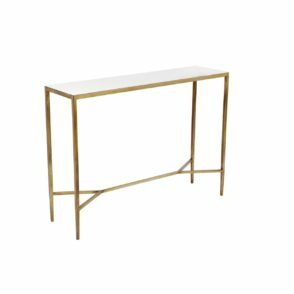 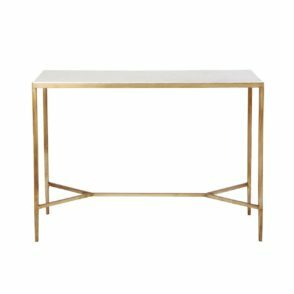 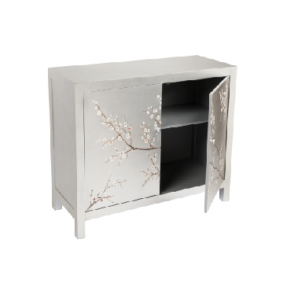 A truly remarkable design that will enhance the look of the living room. 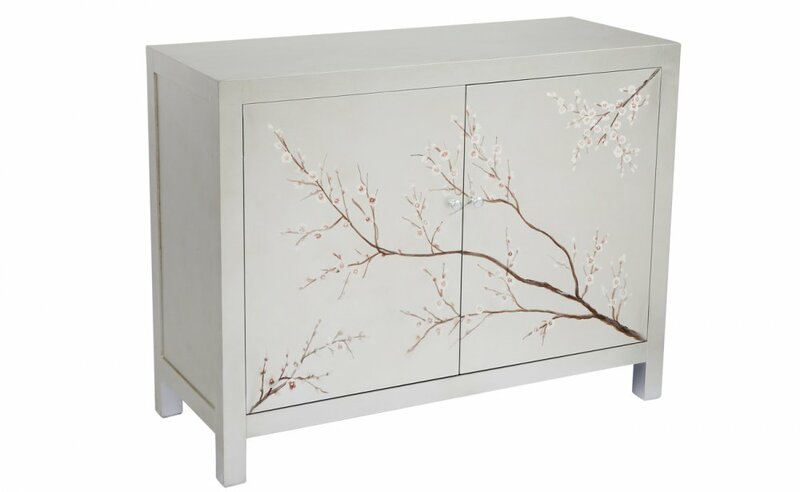 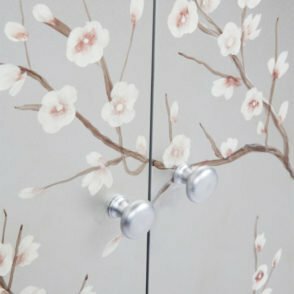 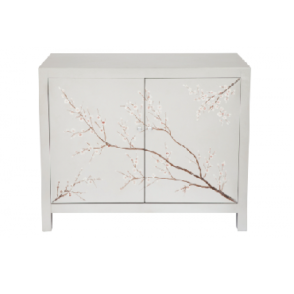 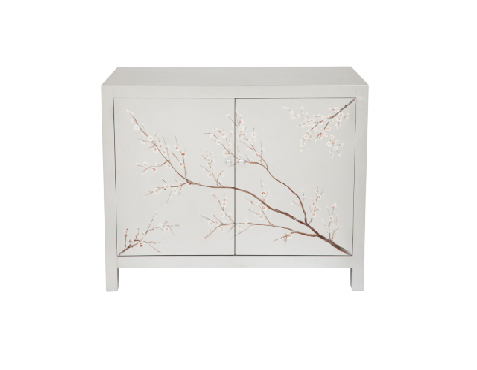 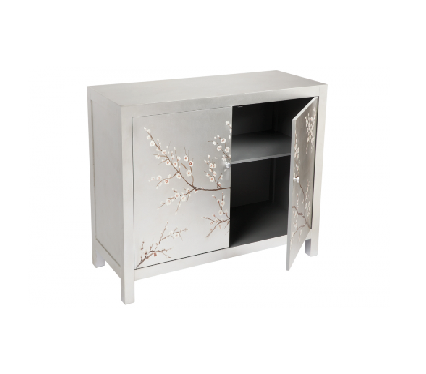 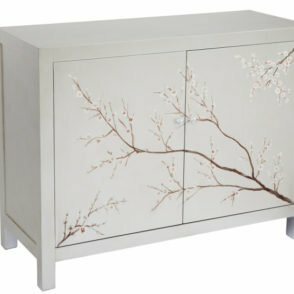 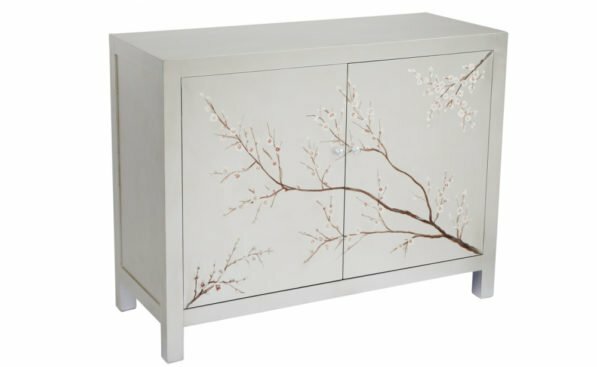 Two door cabinet finished in silver leaf with a cherry blossom painting across the two doors. 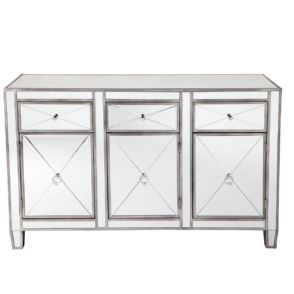 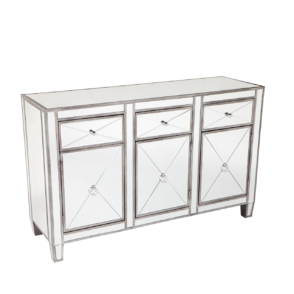 The inside of the cabinet is finished in an antique silver with two adjustable shelves.